NEW WESTMINSTER, BC – Steel & Oak Brewing has announced the return of a beer that displays the strong inspiration that the brewery takes from the traditional smoked beers of Bamberg, Germany. The interesting thing about this otherwise fairly traditional Bamberg smoked beer is that we dry hop it with some Pacific North West hop varietals giving it a citrusy nose that balances the smoked malt. We’ve tweaked this since 2015’s batch and feel that it’s more accessible to those that may not be into smoke as much as we are. 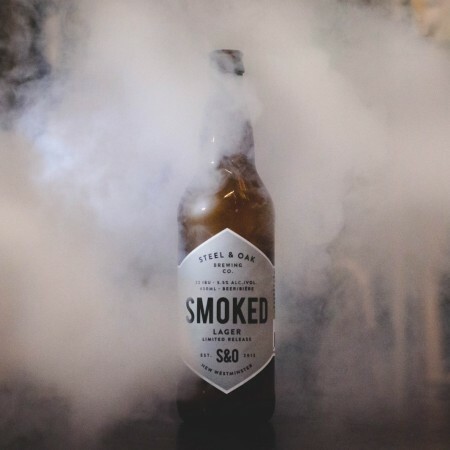 Steel & Oak Smoked Lager is available in 650 ml bottles at the brewery retail store and select private liquor stores in the Metro Vancouver area.